Does the Augusta National Have a Pro Shop? Many golf courses, and nearly all daily fee, private, big-city or upscale courses, have pro shops: A counter where golfers check in, plus a selection of merchandise (clubs, shirts, balls, shoes and so on) available for sale. What about Augusta National Golf Club? One of golf's most famous (and exclusive) golf clubs, Augusta National is home to The Masters. Does Augusta National have a pro shop that sells merchandise, including Masters-themed and Augusta National-branded hats, shirts, etc.? Yes, there is both an on-site Augusta National pro shop, and an online "pro shop" run by the organizers of The Masters and offering Masters merchandise. The Augusta National pro shop is housed in a modest building adjacent to (but separate from) the Augusta National clubhouse, near the first fairway. Like pro shops at any other golf course, Augusta's is where golfers there to play a round of golf check in. It also includes a modest assortment of equipment and merchandise, including Augusta National and Masters-themed stuff. During the Masters Tournament, the pro shop is off-limits to fans and anyone else who does not have the proper credentials. But merchandise tents do appear at other points around the golf course, so those attending The Masters have plenty of opportunities to buy stuff. The "official" online Augusta National pro shop can be accessed via Masters.com, and has two sections - one for prints, posters and photos; and one for publications and movies ("movies" in this case meaning official highlight videos/DVDs of Masters past). Augusta National calls these the "Imagery Store" and "Publications Store." 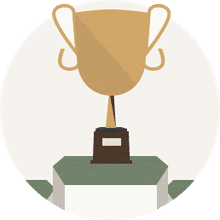 Golfers may also find collectibles related to The Masters and Augusta National sold online at other sites, especially sites that include golf memorabilia sections (including auction houses). The biggest online retailer of them all - Amazon.com - has plenty of such merchandise (books, prints, etc.) available at any given time. That includes stuff specifically related to Augusta National (shop Amazon for Augusta National merchandise) or to the Masters Tournament (shop Amazon for Masters merchandise). 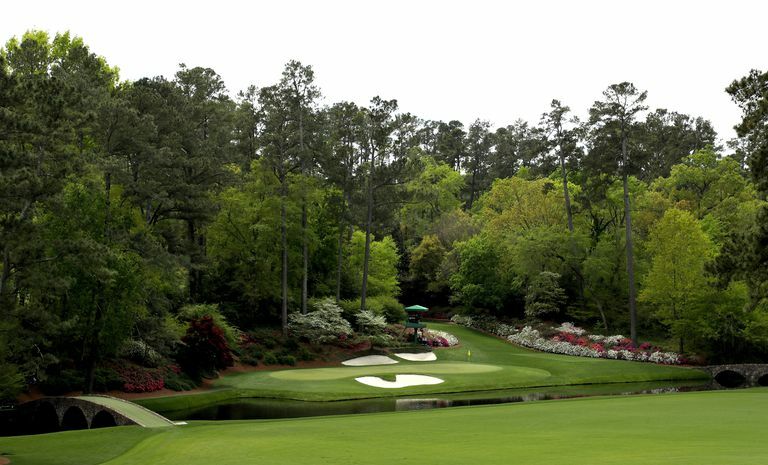 Which Holes Make Up Amen Corner at Augusta National? A Masterful Architect: Who Designed the Augusta National Golf Course?